MOSCOW, April 5. /TASS/. 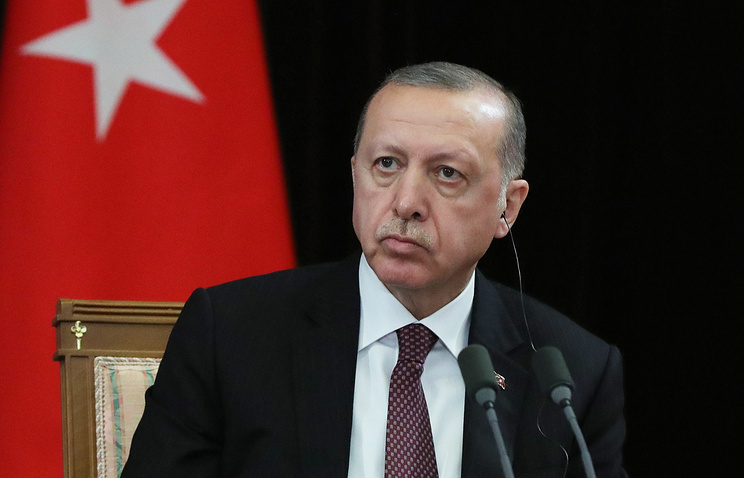 Washington was unable to offer Ankara conditions for a deal on the American-manufactured Patriot missile defense systems similar to those offered by Russia under the S-400 contract, Turkish President Recep Tayyip Erdogan said on Friday. “We have finalized the S-400 agreement and continue contract payments. We suggested purchasing the Patriot [systems] from the US, but the United States failed to offer us any suitable terms. So the S-400 deal is being carried out, and we expect the systems to be supplied in July,” he told the Haberturk TV channel. The United States is taking active attempts to prevent Turkey from purchasing S-400 air defense missile systems from Russia. In the wake of Turkey’s plans to purchase S-400 systems, Washington announced on Monday it was halting the deliveries of equipment to Turkey under the program of developing the most advanced F-35 fighter-bomber. As he commented on cooperation with the United States under the F-35 project, Erdogan said his country continued getting the planes as part of the agreements. “Earlier, we got two aircraft and recently took the delivery of the third plane. We will get the fourth aircraft very soon, within several weeks. Meanwhile, our pilots are undergoing training in the United States,” Erdogan said. Hey Buddy!, I found this information for you: "Erdogan says US failed to offer Turkey terms for Patriot purchase similar to S-400 deal". Here is the website link: https://russophile.org/erdogan-says-us-failed-to-offer-turkey-terms-for-patriot-purchase-similar-to-s-400-deal/. Thank you.